One of the biggest pitfalls of running Windows 10 on a Snapdragon chip is the fact that Qualcomm’s ARM processors don’t support 64-bit applications. However, at Microsoft Build 2018, Qualcomm has announced it is releasing a 64-bit SDK for Windows on ARM. An early preview of the SDK comes with the latest Visual Studio 15.8 Preview 1 with all the tools to allow you to create your own 64-bit ARM apps. 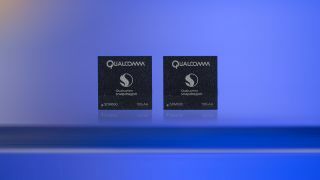 What's more, Qualcomm says developers will be able to develop x64 apps that run natively on ARM processors rather than relying on an emulator. "While the algorithms that make emulation possible are engineered to optimize performance," a Qualcomm spokesperson said in the release. "Running your app natively allows your customers to get the most performance and capability from your app on this new category of devices." With this new software developers kit, programmers will finally be able to create 64-bit applications for Snapdragon-powered Windows 10 devices. That said, a software developers kit isn’t going to suddenly make 64-bit applications work on devices like the Asus NovaGo and the HP Envy x2. Rather, developers will still have to rewrite their existing and new programs to work on Snapdragon devices. Up until now 64-bit application support has been missing on Windows 10 for ARM, forcing users to download the 32-bit version of their favorite programs. Even then though, these x86 apps can’t run natively on the hardware and instead require an emulator.